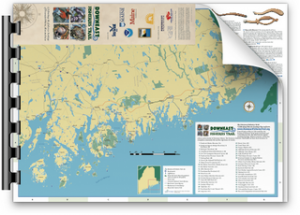 The Downeast Fisheries Trail seeks to support and encourage community projects that highlight the region’s fisheries and heritage. Here we share a few of our favorite related projects. Harvester perspectives on alewives, blueback herring, and American eels in Downeast Maine oral history video series. Are you smarter than a stone crab?